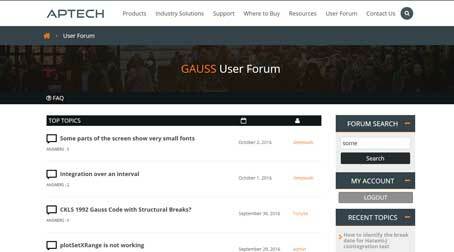 GAUSS provides several tools to make data viewing easy and convenient. 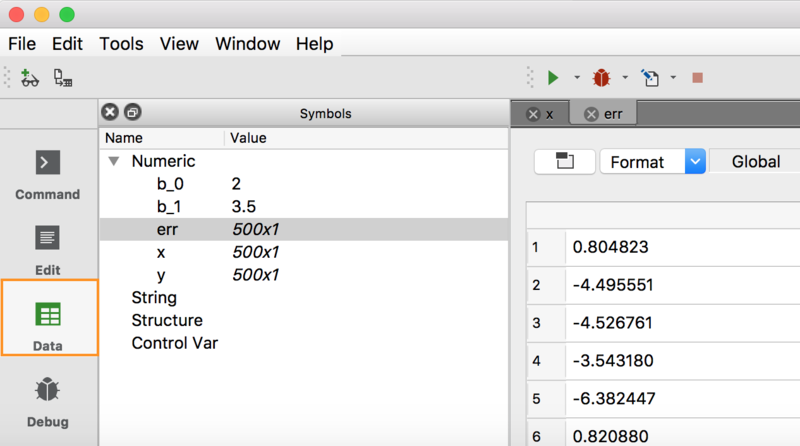 In this tutorial will we examine the different methods for exploring data matrices in GAUSS. Navigate to the Data Page by selecting the Data tab on the left of the application. The two main windows on the Data Page are the Symbols Window and an area for tabbed symbol editors. The Program Input/Output Window is also available to be opened on this page. GAUSS organizes the active symbols by symbol type. Clicking on the arrows next to any symbol type expands a list of currently active symbols. 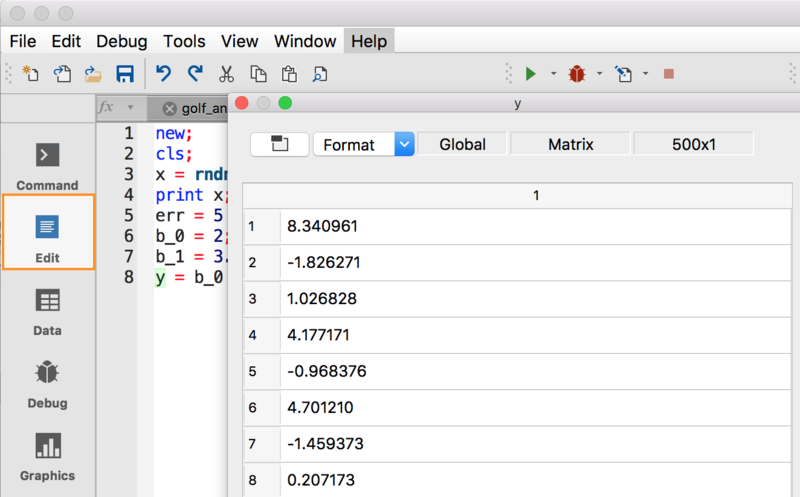 Click the arrow next to Numeric to view a list of all matrices and multi-dimensional arrays in your GAUSS workspace. Hovering over a matrix name will open a tooltip preview of the matrix. Double-click a matrix name to open the entire matrix in a symbol editor. Like a spreadsheet, each number in a Symbol Editor is contained in a cell. Symbol Editors allow you to view the entire contents of a matrix and to change the contents of cells. Double-click a cell to change its value. While editing a file on the Edit Page, you can quickly inspect the current contents of a matrix by opening a floating symbol editor. Place your cursor on the name of the variable you would like to view. Enter CTRL+E (CMD+E) to open the matrix in a Symbol Editor. View active symbols from the Data Page. Use a shortcut to view data matrices from the Edit Page.